Tom Power-Craig’s mother Judith Craig switched her superannuation to Media Super in July 2016 when a business development manager from the industry fund did a presentation at her workplace. Ms Craig had been diagnosed with cancer but it was not terminal at the time and she was still working full-time. Her son claims she was offered no comparison of superannuation products nor was she asked to disclose any medical information. “Roll on 12 months and Mum was unable to work due to the severity of her cancer,” Mr Power-Craig said. “We applied for the terminal illness benefit income protection for which she had been paying premiums, but after four months of waiting they informed Mum she was not eligible because the cancer was a pre-existing condition. After four months of waiting they informed Mum she was not eligible because the cancer was a pre-existing condition. When Ms Craig died in September, Mr Power-Craig applied for the $20,000 death benefit on her superannuation account to cover the cost of the funeral and other expenses. But he was knocked back once again. Mr Power-Craig approached The West Australian and, late last week, Media Super contacted him to tell him it would pay the death benefit into his late mother’s superannuation account. A spokeswoman for Media Super said she would not comment on specific cases, but said the company had paid out 74 of 78 death benefit applications for the 2018 calendar year. She said they provided a refund of insurance premiums when members were not eligible for coverage. Media Super collected more than $22 million in insurance premiums from its members in the 2018 calendar year, all of which was paid to the company’s insurer. Adele Ferguson investigates Industry Super Funds who are making it more difficult to make a claim. When Hudson, a long-time family friend and a financial adviser of 43 years, took on the task of claiming on this insurance on behalf of Garrath’s parents, it sparked a nightmare dispute over the fine print in the REST insurance policy, provided by Hong Kong-based AIA Insurance. Hudson’s is just one example of a super fund’s trustees and insurer playing hard-ball over a “hidden nasty” in a life insurance contract provided through superannuation. It is the sort of stand-off that has embroiled hundreds, if not thousands, of Australians each year. The $92,000 claim was rejected by REST and AIA on the basis that Garrath’s account had fallen below $1200 and no contributions had been received for at least 62 days. This was despite him paying premiums and REST sending him statements until he died in November 2007, which stated he held insurance cover. By law, millions of Australians are passively channelled into life insurance policies, paying $5.9 billion a year in premiums, which provide for income protection insurance and lump-sum payouts on death or total and permanent disability [TPD] – through “group” deals struck between insurers and super funds. They are structured on an “opt-out” basis, which means premiums are automatically deducted unless the member specifically opts out. An investigation by Fairfax Media reveals that a slew of super fund trustees have recently been renegotiating life insurance contracts with insurers at a time when premiums are surging up to 200 per cent in some cases. Negotiations have become tense, forcing some super fund trustees to cop a massive hike or trade away some of their member’s rights. QSuper, which manages $60 billion of retirement savings, took the radical step of establishing its own life insurance company for members after it couldn’t get a decent deal for members with an existing life insurance company. I have big concerns that we have four or five million Australians with life insurance in their super and they don’t even know they have it. These dud policies pose a problem for workers who might lose their ability to work in the future; threatening to erode this crucial financial safety net and worsen Australia’s chronic under-insurance problem. This ticking bomb comes as the spotlight is already on the $44 billion life insurance sector following revelations that CBA’s CommInsure was denying some legitimate claims by using out-of-date medical definitions and claims managers were allegedly “leaning” on doctors to change their medical reports. One financial adviser described the issue of TPD and income protection insurance in super as “one very smelly dung heap” and to handle with caution: “wear gloves, a face mask and carry a long-handled shovel”. Federal Minister for financial services Kelly O’Dwyer told Fairfax Media she has concerns about the lack of transparency in the financial arrangements between trustees and insurance providers. “[This] raises questions about whether some of these arrangements are in the best interests of members and whether members are receiving appropriate cover,” she says. Ms O’Dwyer says the government supports transparency in the financial system, “and especially in respect of the compulsory superannuation savings system”. Her comments come on the back of a draft report released this week by the Productivity Commission into the competitiveness and efficiency of the superannuation system. The report says it will look at the role of life insurance in super funds and whether trustees are offering the most “appropriate” insurance for their members, and whether the costs of insurance are minimised for the type and level of cover provided. Nationals senator John Williams, an influential critic of Australia’s financial services companies, says the life insurance industry needs cleaning up. He is appalled by the Donaldson case. As he puts it, if someone’s home burns down and they have contents insurance, their claim doesn’t depend on how much money they have in their bank account. “It is disgusting stuff,” he says. The Garrath Donaldson case has, in part, convinced him that the “opt-out” system of life insurance in super should be dumped in favour of an “opt in” system. “I have big concerns that we have four or five million Australians with life insurance in their super and they don’t even know they have it,” Williams says. His comments will send a chill down the spine of those running Australia’s super funds and the insurance industry. John Berrill, a life insurance lawyer with 25 years experience, points to a string of new conditions in group life insurance contracts that should pose “red flags” for members. “Sunset clauses”: shorter time limits on how long after a “disablement” a person can easily claim TPD insurance, with at least one fund imposing a six-month limit. Changes to what sort of work a person must be incapable of doing before they receive a payout, eg. instead of being unable to perform a suitable job given their background, qualifications and work history, they must be incapable of performing “any” other job for which they could be trained. Harder words about what constitutes TPD, for example, instead of the person being “unlikely” to be able to return to work, they must prove that they are “unable, ever” to return to work. Berrill points to the AIA Insurance contract offered through the BT Business Super and BT Lifetime Super Employer Plan, for example, which he says is difficult to qualify for anyone working in a long list of so-called “special risk occupations”, including freelance journalists, property developers, radio announcers and musicians. People on this list must not only prove they cannot work – they must also get medical certification that they are “continuously and totally unable” to perform at least two “daily living” activities unassisted, for example, showering and dressing. “Very few people would be able to claim under this definition,” Berrill says. BT disagrees. In a statement it says members continue to be paid under the new definitions. A spokesman said the company sought to make insurance cover “more accessible” to members, including those working in special risk occupations “who otherwise may have been excluded”. AIA says it is “simply false” to imply that it was seeking to make it harder for members to make claims. “The opposite is true,” says chief executive Damien Mu. MTAA Super, which kicked off a new deal with MetLife Insurance in March 2015, says members must be “unable to ever” engage in work for which they could “become reasonably suited by education, training or experience”. Previously, members had to be considered “unlikely ever” to return to work. The current policy also excludes any incapacity not considered “accidental” – which Berrill said could exclude an assault or a repetitive strain injury. MTAA said in a statement its current insurance offering provided “the most balanced, cost-efficient and appropriate insurance cover for all members”. It said 87 per cent of claims had been paid out since March 2015 when the new TPD definition was introduced. Sunsuper’s life insurance deal with AIA involves delivering TPD payouts in annual instalments, a five-year limit on lodging claims, and a tough test of incapacity by changing the wording to “unable ever” to work from “unlikely ever” to work. Sunsuper said in a statement its policy was aimed at providing “the right level of cover for members at the right time”, as well as managing insurance costs. It pointed to research it had commissioned that found that 36 per cent of TPD claimants eventually returned to work or were seeking work. It said the changes to its insurance had resulted in a 30 per cent cut in premiums for members. A key issue is whether some of the new insurance contracts breach laws and regulations governing super, including those that define who should be considered “permanently incapacitated”. Berrill argues that some insurance contracts go too far in defining the level of incapacitation a person must be suffering to qualify for a payout. For example, Commonwealth regulations say a person must be “unlikely” to again work to be considered permanently incapacitated, but multiple super insurance contracts require a person to prove that they are “unable ever” to work again. APRA told Fairfax Media that it was aware of the recent “industry developments”, and had advised the super and life insurance industries of the need to make sure arrangements complied with laws and prudential requirements. Millions of Australians paid for the products, but claims were low, partly because fund members didn’t even know they could claim. Because so few people had previously claimed, insurers didn’t properly budget for what would happen if more people did. The industry’s resulting plunge into the red was so dramatic that it alarmed APRA, which chided the industry for being too aggressive in chasing new business. It is a matter of debate whether the industry is now being too aggressive in trying to recoup the massive losses posted earlier in the decade – or whether it is simply trying to find a “sustainable” pricing structure. Jenni Baxter, head of consulting and research at Rice Warner Actuaries, says funds and insurers were trying to strike sustainable arrangements in the balance between contract terms and premiums, with the aim to keep premiums low enough that they don’t “unreasonably erode” the growth of fund members’ nest eggs. “Where you see premiums starting to [go too high], it’s in everyone’s interest to try and bring them down,” she says. But Maurice Blackburn’s Mennen says the knee-jerk premium increases and claims crackdowns by insurers have gone much too far the other way. Australia’s life insurance sector is already reeling after being hit by a scandal inside the Commonwealth Bank’s insurance arm, CommInsure, following revelations by Fairfax Media and Four Corners that it denied or delayed some legitimate life insurance claims, many inside super funds including HESTA and Kinetic Super. 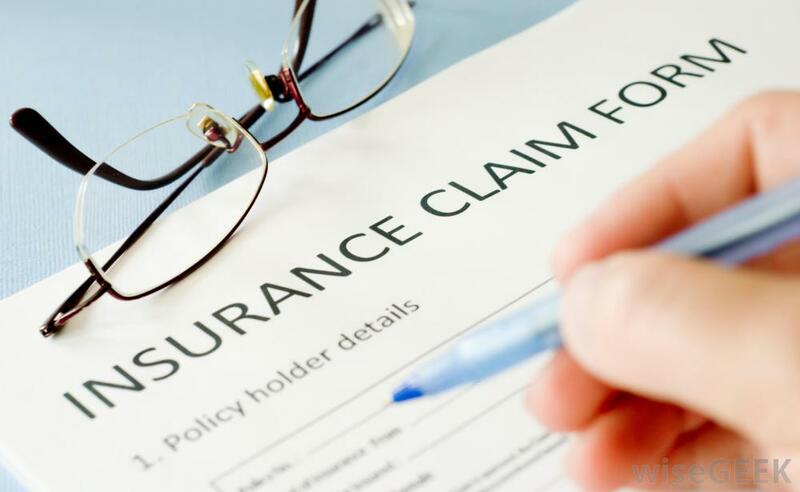 Last year, APRA warned insurers that they couldn’t simply “take a ‘harder line” in considering claims in an effort to reduce claims costs. Sally Loane, chief executive of the Financial Services Council (which represents life insurers), said life insurance was in the middle of the biggest reforms for decades, including the launch of a new Code of Practice, due in October, aimed at strengthening “community trust and confidence” in the sector. Life insurance is an important product, but it needs to be right. Trustees have an obligation to act in their members’ best interests and that means not being bullied into policies that are unfair. For someone who loved his job driving trucks, and took pride in being a hard worker, it was a “bitter pill”. Three insurers paid out after reviewing Flannagan’s medical files, recognising the debilitating nature of his injury. But MetLife refused to pay for more than a year, with Flannagan’s lawyers, Maurice Blackburn, accusing the insurer of “fishing” for information and engaging in semantics to deny his claim. After he had battled for more than a year, MTAA says it has now decided to pay Flannagan’s claim, a decision it says was made in “accordance with normal processes”. The decision was made during the course of this investigation. On the Garrath Donaldson matter, REST said it did not comment on individual matters, but that the rule removing insurance cover when balances fell below $1200 had been changed in July 2013, in part following “member feedback”. But nine years on, Jeff Hudson is still battling to get some closure for Garrath’s family. “To leave this claim unpaid, would create a very dangerous precedent potentially allowing super fund trustees to downgrade administration standards to an absolute minimum and later rely on clauses in the trust deed to administer any claims which may be submitted.” Unlike many, who might have given up, Hudson says it is a principle too important to ignore.